This fall, Lima, Munich, and Singapore will become epicenters of GIS training for regional users who want to collaborate and connect with colleagues while learning the latest advances in geospatial technology. Esri’s regional GIS events—the Europe, Middle East, and Africa User Conference; the Latin America User Conference; and the Asia Pacific User Conference—are expected to draw participants from three vast GIS regions and the world. These three-day celebrations of all things GIS are packed with technical workshops, keynote plenary sessions, seminars, map galleries, paper presentations, vendor exhibits, and gala social events. They also offer much, much more, according to Esri president and founder Jack Dangermond. Once arrived at a regional user conference, you will be immersed in seminars, technical sessions, and other training led by world-class experts—all dedicated to teaching you state-of-the-art GIS and how to boost your analytical skills. Afterward, your colleagues back home will notice how much better connected you are within the industry and how adept you are in the latest GIS software. The regional user conferences will equip everyone who attends with tools and skills for moving their organization forward in the 21st century’s technically challenging business environment. 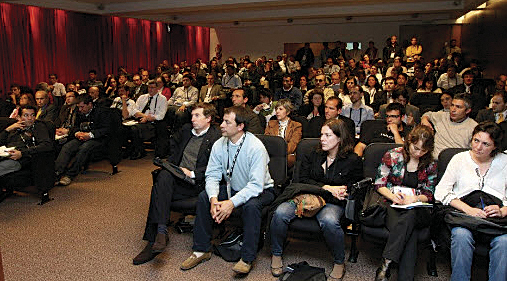 2012 Esri Latin America User Conference. If you would like an early start, spend some time at a regional user conference booth at the July Esri International User Conference (Esri UC) in San Diego. If you’re planning to attend, you can meet host distributors for the conference in your region who will brief you on the event and help you finalize plans, including registration and reservations. 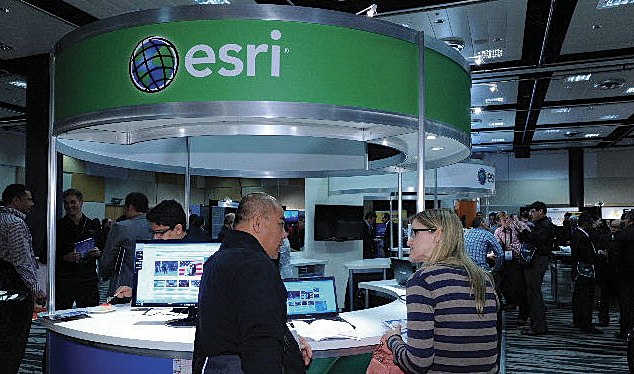 The Esri UC booth staff also will provide promotional resources and media tools for raising your organization’s visibility across the region and publicizing your upcoming event to ensure its success. Latin American users—join hundreds of your colleagues in Lima, Peru, October 16–18 at the Esri Latin America User Conference (LAUC), hosted by TELEMATICA, Esri’s official distributor in Peru. You’ll have an opportunity to let your geospatial ambitions soar and be immersed in three days of cutting-edge training led by Esri staff and your peers. The LAUC will be held at Lima’s JW Marriott Hotel. “The Esri Latin America User Conference provides an opportunity for GIS professionals, IT specialists, and decision makers from all over the region to experience the future of GIS and to get connected and learn from each other,” says Alberto Guillen C., general manager of TELEMATICA. A major highlight for attendees of the LAUC is the Plenary Session, where Esri leaders will review Esri’s vision for the future and how GIS will continue to evolve and play a vital role in our lives. You’ll also explore the latest advances in Esri technology directly from Esri staff through workshops, presentations, technology demonstrations, and exhibits. Another excellent reason to attend LAUC is the opportunity to collaborate with Esri product specialists and other GIS professionals who can help you best leverage your current GIS resources. Registration is now open. Visit esri.com/lauc to register, get involved, and start planning your trip to the LAUC. Esri Deutschland GmbH will host the Esri Europe, Middle East, and Africa User Conference (EMEAUC) in Munich, Germany, October 23–25. More than 2,000 users will convene at the International Congress Center to explore the latest advances in Esri technology via seminars, demonstrations, workshops, and exhibits. For three inspiring days, Munich will become “GIS central” for a massive, multinational region spanning seven time zones. In addition to honing their skills, attendees will have an opportunity to meet other Esri users and decision makers seeking innovative solutions to their GIS challenges. In the GIS Solutions EXPO, users can meet with more than 40 exhibitors representing regional companies and organizations at the forefront of GIS technology. To register for the EMEAUC or submit an abstract for consideration, visit esri.com/emeauc. 2012 Esri Asia Pacific User Conference. The 2013 Esri Asia Pacific User Conference (APUC) in Singapore November 12–14 is expected to draw tech-savvy users from across the region for three days of intensive exploration of the science and art of Esri ArcGIS. Hosted by Esri South Asia Pte. Ltd., the event will be held at the Suntec Singapore International Convention and Exhibition Centre in the Southeast Asian island city-state. A packed agenda will ensure that attendees get their fill of technology trends, workshops, plenary sessions, luncheons, networking, and collaboration, which can take the form of sharing innovative work with colleagues. To view the agenda, register for the conference, or submit an abstract for the APUC, visit esri.com/apuc.